Just remember....he's not the Messiah, he's a very naughty boy. 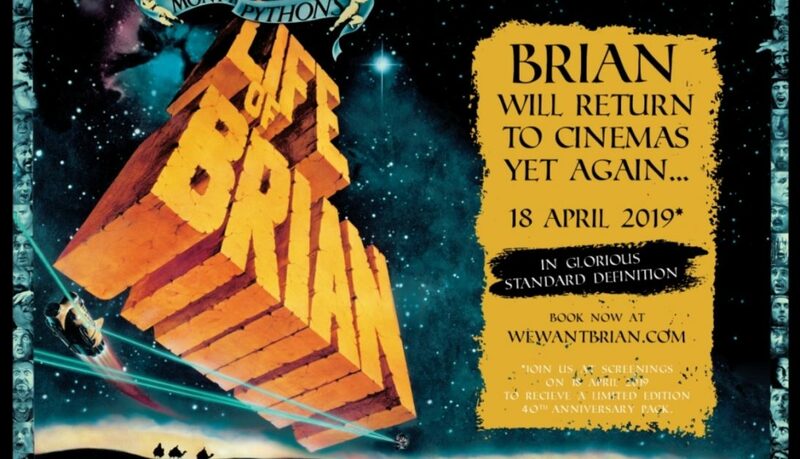 Returning to cinemas for it’s 40th Anniversary, in glorious standard definition and mono-sound, Monty Python delivers a scathing, anarchic satire of both religion and Hollywood’s depiction of all things biblical with their 1979 feature film Life of Brian. THE FIRST 250 TICKET HOLDERS TO ARRIVE WILL EACH RECEIVE A COMMEMORATIVE PACK. From the archive, 30 August 1979: It may be the foulest-spoken Biblical epic made, but it also looks like becoming the best-selling.